Tic Tac Toe is a Windows 8 Tic Tac Toe Game. It is a Tic Tac Toe Game in which you can play opposite to the computer or against any other player. You can choose from a number of themes to play the game. From the available themes are Chalkboard, Kids, and many others. This Windows 8 Tic Tac Toe Game is freely available in the Games category of the Windows Store. Let’s get you better introduced with this Windows 8 Tic Tac Toe game. 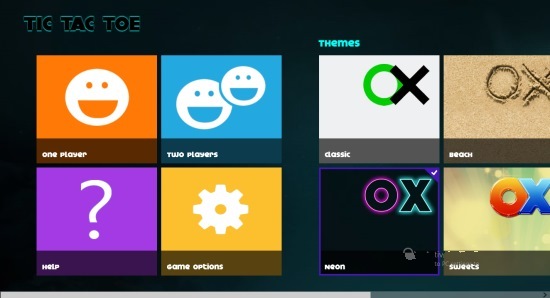 As you get to the main screen of this Windows 8 Puzzle game, you will be shown the options you can take to play this game. There are six themes available here to choose from.You can play this game as a single player or with another player. In the single player option you get to play against the computer. 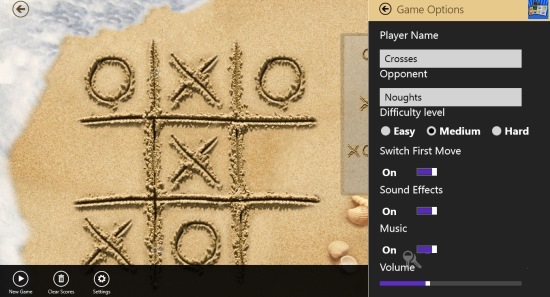 In this option of this Windows 8 Tic Tac Toe Game, you get to play against any other player. 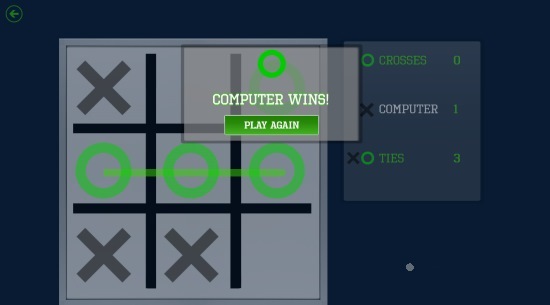 You can even customize this Windows 8 Tic Tac Toe game according to your need. You can set the difficulty level, can set name for the players or can make other settings related to the Game. 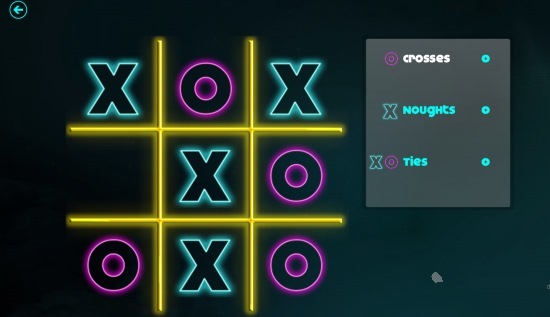 For this you can use the Game option that is available in the main screen of this Windows 8 Tic Tac Toe Game, or the bottom flyout while you are playing. On the bottom flyout, there will be option for it. As you click it, a panel will open up on the right side. From there, you can make the required settings. Compete against the computer or any other player. Set the difficulty level using the settings. According to me , this Windows 8 Tic Tac Toe is quite nice and deserves a try for sure. Try it and share your experience with us. Get Tic Tac Toe here.